One of the biggest talking points of the 2016 AFL season was the decision to schedule a bye week between the home-and-away season and the finals. Two games and percentage was all that separated first and seventh on the AFL ladder after 23 rounds of football. The smallest gap between first and seventh outside of that this decade? Three games. 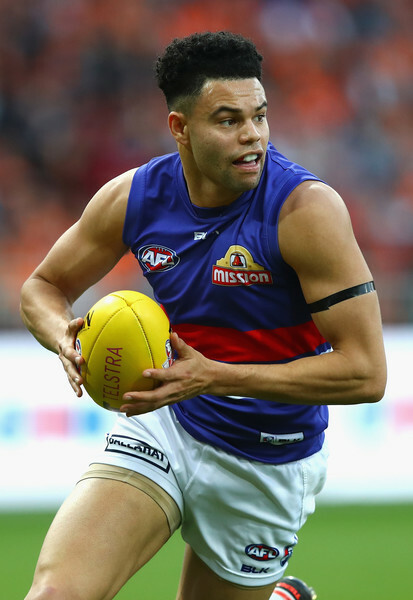 With the numbers showing that this has been the tightest season in years, should it be any surprise that the Bulldogs have come from seventh to be within four quarters of ending a 55-year drought? No. That’s not the directive being taken by members of the AFL and some media personalities, however. According to Gil Mclachlan, without the bye the Bulldogs would not be where they are, with Mclachlan claiming that the bye enabled them to field a stronger squad throughout their finals campaign. He may well be right, but every club was afforded that right with the week off, so it becomes irrelevant. Furthermore Mclachlan suggested that both the Giants and Cats were a victim of the bye week. To anyone who watched both games it was clear they were a victim of being outplayed on the day of their Preliminary Final. The losses of the Giants and Cats on the weekend mark the only occasion since 2000 (when the current finals format started) where both Qualifying Final winners lost their Preliminary Final. Perhaps rather than looking at the results of two games, look at the unpredictability in the 23 rounds that preceded what has become one of the most talked about finals series in a decade. That’s why the Swans and Dogs are gracing the MCG on Saturday afternoon – because they got through every hurdle that was placed in their way. A cynic (not me personally, but I’m sure we could find five or ten thousand) would suggest that Gil and others are upset because the Grand Final isn’t the marquee Greater Western Sydney V Sydney or Greater Western Sydney V Geelong game that many pundits had mentioned throughout the year. On the balance of play across the weekend, the two teams who deserve to be there are. There was talk on 1116 SEN this morning that the AFL have broken something by implementing the bye week. There were many skeptics when it was announced (myself included), yet looking at the quality of football that has continued throughout the season I think it has been a great addition to the year. This entry was posted in Published on xavierplayer.com, Written and tagged AFL. Bookmark the permalink.